Grand Central Publishing, 9781455515974, 384pp. 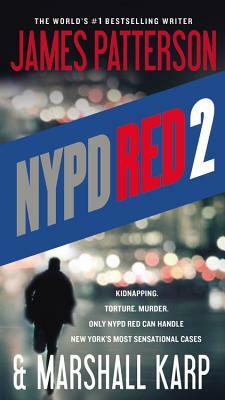 NYPD Red's finest detectives are about to investigate a brutal crime scene in Central Park . . . but even their training can't prepare them for the biggest case of their careers. The victim, a woman of vast wealth and even greater connections, is the fourth in a string of shocking murders that have hit the city. As the public pressure mounts, and political and personal secrets of the highest order hang in the balance, Zach and Kylie must find out what's really behind the murderer's rampage. But Kylie has been acting strange recently-and Zach knows whatever she's hiding could threaten the biggest case of their careers. "The prolific Patterson seems unstoppable."